This site will slowly be populated with more ceramic work as I continue to explore the clay. There is a fair bit of the history of my bronze work in following pages. "Surfacing", a covered bowl with cast bronze figure. 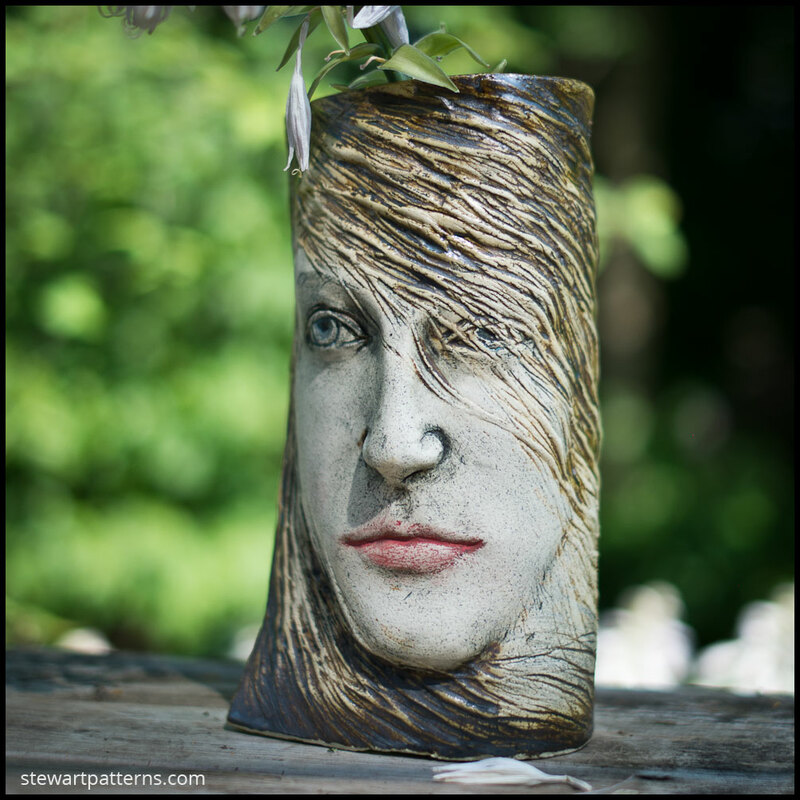 Stewart Smith worked with cast bronze for many decades under the business name Stewart Patterns. He is now working in ceramics, happily playing with colour as well as form. 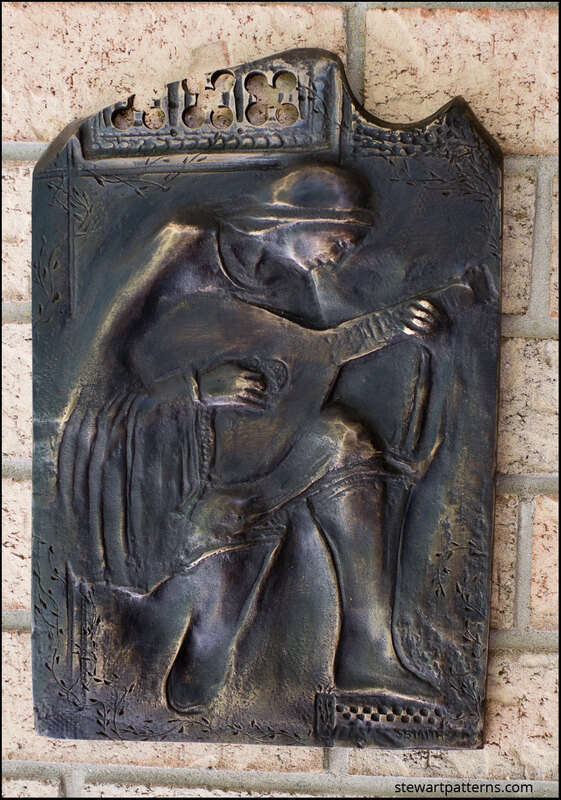 Lute Player, bronze, 11" high. September 8 and 9, 2018. Join me in Kitchener for a weekend of fun and exploration of casting bronze in sand. We will play in Sandra Dunn's great blacksmith studio, pour bronze at 1230 degrees Celsius, and have finished castings in moments. We will make objects in plain old Sculpey, bake them hard, then cast them into beautiful, permanent bronze objects. We will gather at 9am each day, drink some coffee, get a bit dirty, laugh some and play. Mostly play! 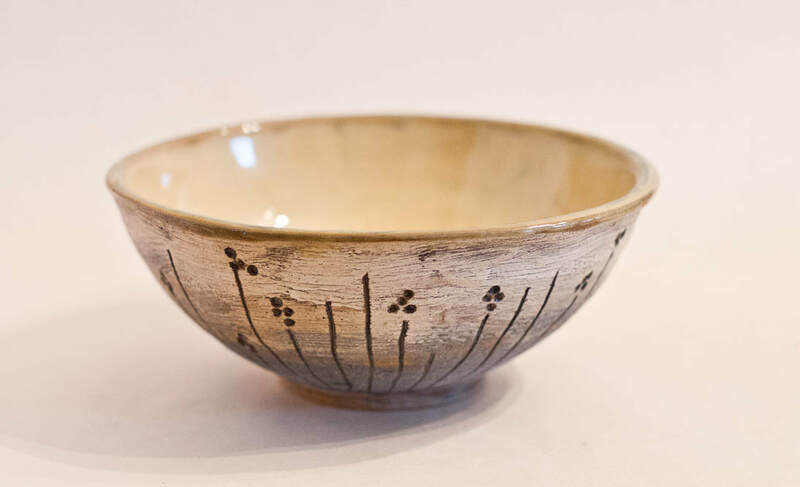 A bowl with soft yellow interior, a clean, smooth hemisphere. The outside is quite textured, presenting lots of tactile contrast.